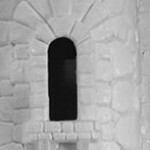 MattyCollector is going to be posting some teaser images of the upcoming Masters of the Universe Classics Castle Grayskull. They’ll be posting a teaser pic each day leading up to the full reveal at New York Toy Fair 2013. Check back as we update when new teasers are released. Second teaser pic has been released and added.